and raise children who are respectful, resilient, and plain old happy? Then you’ll definitely want to join us for this fun, informative workshop series! 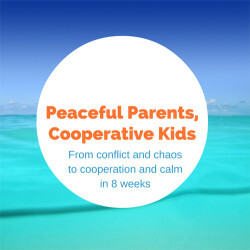 This Parenting with Positive Discipline series will help you show up as the parent you want to be, and create a home where respectful cooperation is the norm. You’ll get tangible, practical tips and tools that are easy to implement and work right away. My favorite 3-step ritual to stay cool, calm, and curious in the face of really irritating behavior. 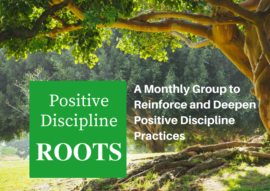 Simple, tangible, and effective Positive Discipline tools to reduce defiance, tantrums, back talk and other challenging behaviors. Cost for General Public: $349/person or $239/2nd caregiver. LePort or Mission Montessori Parents/Caregivers receive discounted pricing. Contact MarcilieSmithBoyle@gmail.com for information. Handout with summaries, reminders, homework assignments, and exercises. Weekly practice assignment. Changing behavior is not easy and requires daily practice. Each week you’ll get something very tangible to practice with your children. Supplemental reading assignments. Each week you’ll get a short article hand-picked by Marcilie to round out your classroom experience. Attendance will be capped at 25. Spaces reserved on a first come, first served basis. You will leave with specific tools to help you maintain these new perspectives, taught through experiential activities. One of my favorite mantras from Positive Discipline is this: “Kids do better when they feel better.” (Jane Nelsen). When kids feel well-fed, well-slept, and when they feel a strong sense of belonging and significance, it’s so much easier for them to behave in the way we’d like. The same is true for adults. It’s really hard to show up as a peaceful, positive parent when you are sleep-deprived, stressed out, over-worked, unappreciated, resentful or just plain unhappy. In this module you will uncover what’s blocking you from taking better care of yourself and leave with a specific action plan to put yourself closer to the top of your priority list. If you feel like you’re doing all the work, it’s probably because you are. In Adlerian Psychology and Positive Discipline, everyone in the family has a role in creating a smoothly-running and happy home. 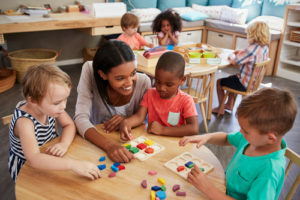 You’ll learn step-by-step activities you can do with your partner and your kids in order to share the load, teach life skills, and give everyone the opportunity to contribute. I enjoyed every class, very impactful. Didn’t want the classes to end! Marcilie is an amazing, warm, and down to earth teacher. She taught positive discipline with such grace, and I aspire to be like her. I look forward to implementing the positive discipline tools that I have learned. You can’t put a price tag on being a better parent and having a happier home. Marcilie is an incredibly skilled facilitator and I’m so thankful to her for everything she taught me! Everything I learned I can implement immediately. I love Marcilie! She’s so down to earth and knowledgeable. I loved that she shared her personal experience, it make it very easy to relate and to feel “she’s talking about you.” Thank you, Marcilie! What child ages is this class tailored to? The course content is specifically tailored to parenting preschoolers ages 2 – 6. However, most of the content (80%) will be relevant for elementary aged children as well. 6 Weeks is a big time commitment. Does the class need to be that long? If you think about how much time and money we invest in our careers or education, 6 weeks is a drop in the bucket — especially for what may be the most important job we ever and always have: parents. 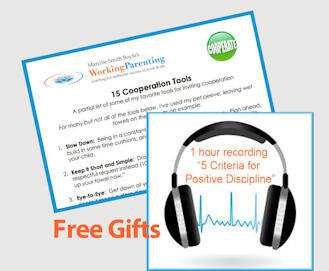 The full Parenting the Positive Discipline Way curriculum is about 14 hours long. And even then, facilitators make choices about what tools and concepts to cover and which ones to leave out. My child isn’t that challenging. Will the class still be relevant? 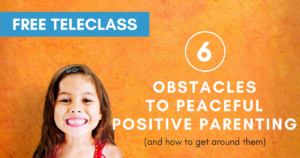 It’s my belief that all parents will benefit from taking a Positive Discipline class because the philosophy and tools are not just about shaping behavior; they are about helping our children create healthy beliefs for the long term. Beliefs like, “I’m capable and competent; I have something to contribute, I’m needed and loved.” Healthy beliefs beget healthy behavior AND emotional health for the long term. Some children are “pleasers” or will obey out of fear. These traits make them easier to parent now, but neither will lead to healthy development long term. You’ll find a rough outline of the 6-week series here. Marcilie Smith Boyle, MBA, CPCC, CPDT helps busy parents and professionals find more peace, purpose, and joy in parenting. A Certified Positive Discipline Parenting Educator and Leadership Coach, she leverages her previous sixteen-year consulting and marketing career to ensure her clients get a return on their coaching investment. She earned her MBA from Harvard Business School, BA from Dartmouth, and CPCC from The Coaches Training Institute. She loves living in Oakland with her husband and three wonderful school-aged children.